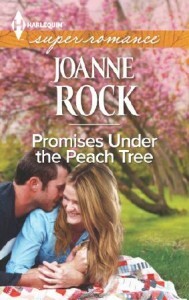 This is my stop during the book blitz for Promises Under the Peach Tree by Joanne Rock. This book blitz is organized by Lola’s Blog Tours. The book blitz runs from 2 till 8 September, you can view the complete blitz schedule here. I haven’t read any of Joanne’s book that she writes solo, but I have read all the books she co-writes as JK Rock. Beside the normal blitz information Joanne also wrote a great tens list for my stop, so make sure to check it out! And now it’s time for the awesome tens list Joane wrote for my stop in which she tells us about the Harvest Festival and why you need to attend one! 1-	Hay Rides. No matter your age, riding in a hay wagon with a bunch of friends, singing silly songs or sipping hot cocoa is a blast. The nights are cool and snuggling for warmth is optional. 2-	Pumpkin Carving. You can test your jack o lantern skills or just let your kids go to town with pumpkin pulp and seeds in a place that you don’t have to clean up! It’s a win-win. 3-	Caramel Apples. Or candy apples. Or bobbing for apples. Fresh, crunchy apples are never better than at this time of year. 4-	Wine Tasting. You might not luck into a Harvest Fest in a town where grapes are grown, but if you do, there is sure to be some wine tasting going on! Enjoy the harvest in a time-honored way by sipping a variety of new-to-you vintages. 5-	Pet the Animals. You are never too old to be delighted by a petting zoo, and a harvest fest is sure to feature some farm animals. Kids love this part of the day. 6-	Hay Maze. There’s a fun one in PROMISES UNDER THE PEACH TREE. Some towns make the maze “haunted” in honor of Halloween, and others create more of a labyrinth for fun. Get lost in one and see how long it takes you to find your way out. 7-	Gourds and Indian Corn. I love going home with my arms full of natural fall décor. It’s all so colorful. 8-	Crafts. Rug hooking, furniture making, basket weaving… there are usually demonstrations and markets for buying up locally made wares. Support your region’s craftspeople by going home with a basket you helped make. 9-	Food. There will be chili cook-offs, homemade pies for sale and cooking demonstrations. Sample and savor. 10-	Reconnect with Nature. One of the nicest parts of a Harvest Festival is the reminder of where our food comes from and how dependent we are on good crops. As our society becomes more interested in the healthful benefits of a Farm-to-Table lifestyle, we can learn more about using the locally grown fruits and vegetables in our cooking. I’ve never attended a harvest festival before, but it sounds like a lot of fun! I wonder if they also have harvest festivals here in the Netherlands as I never heard about them before. This also makes me really curious about this book as I like small town settings! Three-time RITA nominee Joanne Rock never met a romance subgenre she didn’t enjoy. The author of over sixty romances from contemporary to medieval historical, Joanne dreams of one day penning a book for every Harlequin series. 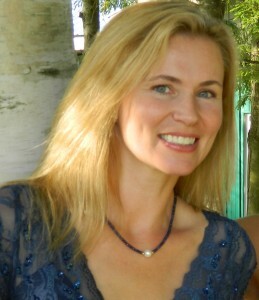 A former Golden Heart recipient, she has won numerous awards for her stories.